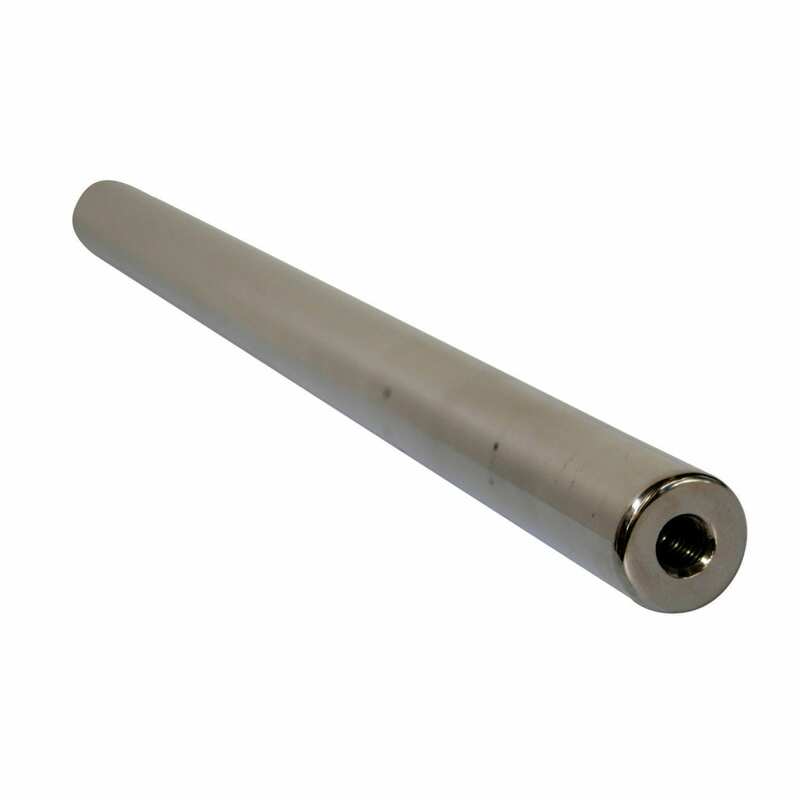 This 350mm x 25mm Magnetic Rod has a threaded M8 Hole, with an outside diameter of 25mm and a length of 350mm. Our magnetic rods are widely used in the food and dairy industry to protect their product from ferrous metal contaminant. From large magnetic separator systems to small single drawers these rods extract any ferrous contaminant that may be present. We stock a large range of sizes of these high powered Neodymium magnetic rods but should we not have the size you require we are able to custom make to size. Each rod comes with a test certificate at the time of purchase on request at no extra charge. Furthermore, by being N50 grade these rods have a high Gauss reading in excess of 11,000-12,000. Custom rods may experience a slightly lower Gauss reading of 10,000-11,000. Protect your investment with yearly validation testing to ensure your magnets are in peak performance and avoid costly repairs by monitoring the condition of your magnetic systems. Send your rods into us and we will test them and then courier them back to you or book in an onsite test with one of our separation technicians.